The midterm elections are less than 40 days away. FiveThirtyEight’s House forecast gives Democrats an 80 percent chance of winning the House. Our Senate forecast gives Republicans a 70 percent chance of holding the Senate. 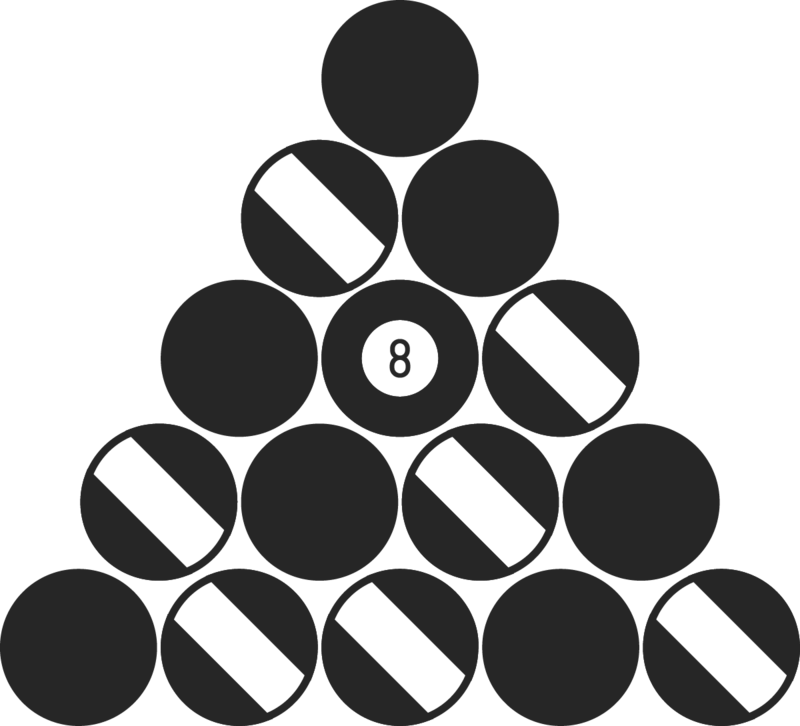 What is the lowest possible probability of a split Congress — where one party controls one chamber and the other party controls the other? And what is the highest possible probability of a split Congress? From Ricky Jacobson, rack ‘em robots! Extra credit: What is the maximum number of operations the robot would perform using any template? Which template and starting position would yield this? Congratulations to 👏 Thomas Burris 👏 of Charlotte, North Carolina, winner of last week’s Riddler Express! The best possible winning percentage without winning a ring is 73.3 percent. To achieve this dubious honor, enter the playoffs as a wild card and win the wild-card game. Then, sweep the division series 3-0. Then, sweep the league championship series 4-0. Then, lose the World Series in a nailbiter, winning as many games as you can, 4-3. That’s 11 wins and four loses (and 11/15 ≈ 0.733). The worst possible winning percentage while winning a ring is 57.9 percent. To do this, be good enough in the regular season to skip the wild-card game. Then, eke out the division series 3-2. Then, eke out the league championship series 4-3. Then, eke out the World Series 4-3. After all that eking, you’ve got 11 wins, eight losses and the Commissioner’s Trophy (and 11/19 ≈ 0.579). In baseball, you don’t have to be great to be the greatest. The 2014 Kansas City Royals accomplished that first, dubious honor, winning a wild-card game against the Athletics, then sweeping the Angels, then sweeping the Orioles, then falling to the Giants in the World Series in seven games. The 2017 Houston Astros nearly completed the second, eke-out feat: They beat the Red Sox 3-1, the Yankees 4-3 and the Dodgers 4-3 in the World Series for a playoff winning percentage of 61.1 percent and a shiny new trophy. Congratulations to 👏 Marc Harber 👏 of Baltimore, winner of last week’s Riddler Classic! Last week, you were hired by Riddler HQ and relocated to Riddler City, where you moved into a lovely apartment five blocks west and 10 blocks south of the office. The streets of Riddler City are laid out on a perfect grid, of course, and every morning and evening you walk your commute. Inquisitive such as you were, you preferred to walk a different path through the city every time. Assuming you didn’t take paths that were longer than necessary, how many days could you live in that apartment before you had to take a path twice? There were 3,003 different routes from apartment to office, giving you 1,501 days — or a little over four years — of unique walks. Start drafting your 214-week notice now. 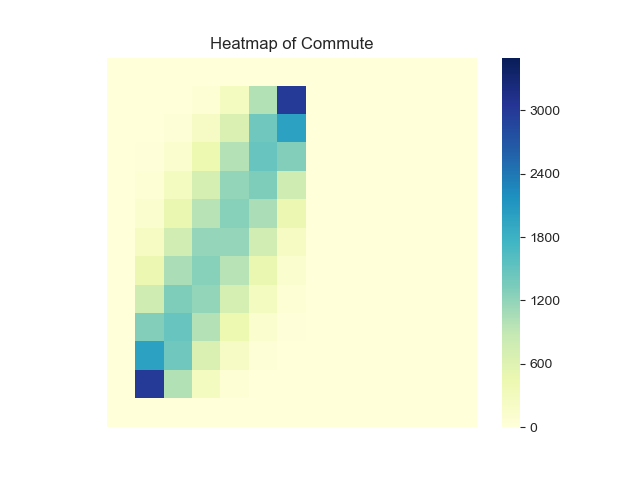 Solver Tyler Barron created a heatmap of your commute, showing the blocks you’ll visit most frequently over the course of those 3,003 walks. Put another way, the total number of paths for our commute is the binomial coefficient “10+5 choose 5,” or 3,003. So if we lived M blocks west and N blocks south of the office, our number of paths would be “M+N choose N.” If we moved to a nicer apartment a bit farther away — 15 blocks west and 10 blocks south, say — we’d have 3,268,760 walking paths to choose from. Gotta get those steps in!